You are here: Home > Tutorials > Miscellaneous > How to Do a SWOT Analysis for Your Small Business? Running a business is not easy! From marketing and sales to the management of employees, there are endless things that require your attention. To run a successful business, it is important for the business owner to think strategically and have a vision. They need detailed business insights to create an effective business plan. Strategic business planning provides a roadmap to achieve your business goals. When it comes to business planning, thinking outside the box is necessary. The aim of every business is to stand out from its competitors, increase customer base and sales. Increase in revenue results in an increase in profits and business growth. But, to stand out from your competitors, you need to have an effective marketing plan. When you are developing a business plan, you clearly need to know the position of your business. 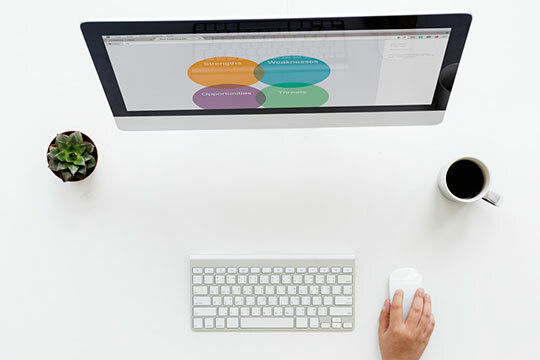 If you are well aware of the risks, limitations, and capabilities of your business, it becomes easier for you to focus on areas that need improvement. This is where SWOT analysis for business comes into the picture. 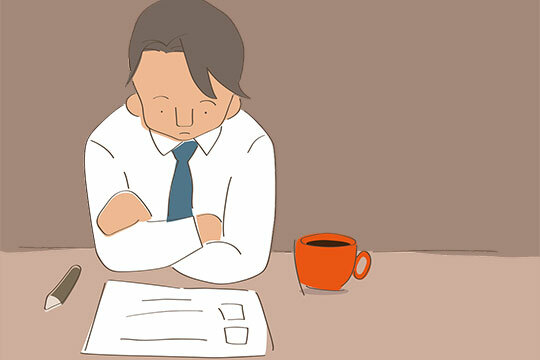 What is SWOT Analysis for Business? SWOT analysis is a popular term among professionals working in the corporate environment. But lately, this term is also being used in businesses. 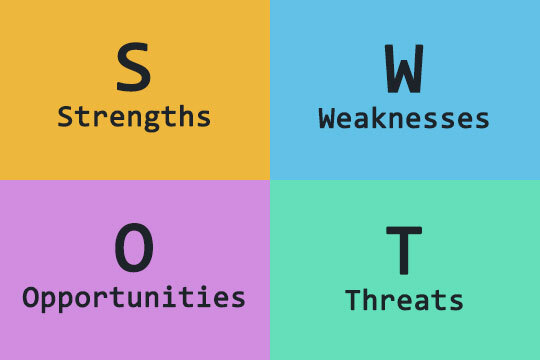 SWOT analysis involves an audit of Strengths, Weaknesses, Opportunities, and Threats of a business. Conducting a SWOT analysis is a powerful way to define key characteristics of your business. 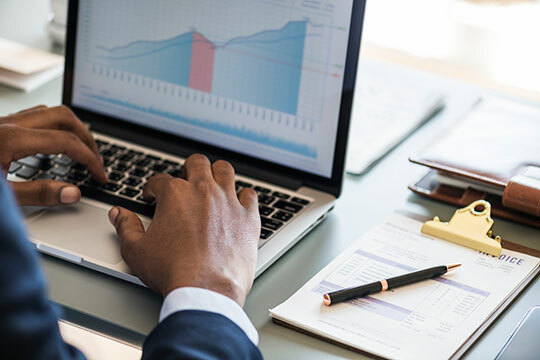 It is an analytical technique used to identify how closely a business is performing in alignment with its business goals and benchmarks. No matter what size or age your company is, a SWOT analysis will help determine internal capabilities of the business and act as a starting point for discussions. It serves as a good tool for business strategizing and uncovers a wealth of information. SWOT analysis for a business can be done in general or in relation to a specific business situation. Recommended for you: Attract New Customers Using These Amazing Strategies. How to do SWOT Analysis? If you are unsure of how to get a SWOT analysis done for your business, you can opt for a readymade SWOT template available online. To get started, you can read SWOT analysis of a business with a comparable business model or a business present in the same industry. What are key points that differentiate your business from competitors? What is the expertise of your business? What is the uniqueness of your products and services? What is the uniqueness of your products and services? What are the strengths of your resources? What types and level of resources do you have access to? What are your strengths that your customers appreciate? 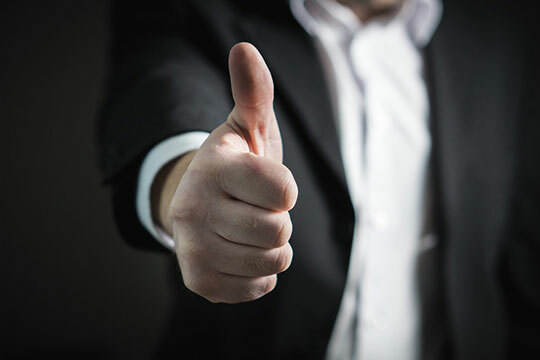 What are the things that your company does well? What are the tangible assets like proprietary technology, capital and more of your company? What is your experience and hold in the market? What are the things that your company lacks in? What are the points that you are losing out on in comparison to your competitors? What are your limitations in terms of capital and resources? What are the things that your competitors are doing better? Where are you lacking in your marketing strategies? Why are you losing out on your prospective leads? Are you losing your existing customers? What are the reasons behind it? Why are your product or service costs higher than competitors? What are the ways you can ensure the ongoing relationship with your existing customers? What are the underserved markets for your products? What are the press and media opportunities for your company? What are the emerging needs and changes in consumer behavior that you can cater to? How can you keep up with the volume of leads coming in? What are the technological, economic, political, social or sectoral factors you can benefit from? What if you are unable to keep up with the technological advances? What if your external factors cause an unexpected influence on your business? What if you lose out on the product, technology or location exclusivity of your business? What if you lose out on your limited resources in terms of staff? What are the new emerging products that can substitute your products? You may also like: How to Build Your Digital Marketing Strategy Using Google Analytics & Search Console. Quick and simple, SWOT analysis can provide you with deep insights into the current position of your business. It will also help you focus on areas that pose a risk for the growth of your business.